Well, you should be! Because they come hunting after you. 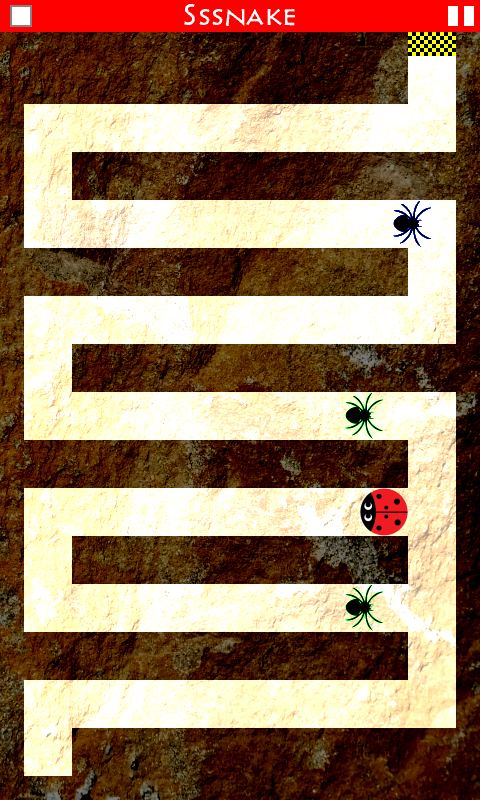 In Arachna, you play a little ladybug, trapped in a maze. Everybody thinks ladybugs are cute. Unfortunately, these spiders think ladybugs are delicious, too. Which makes you their designated dinner. 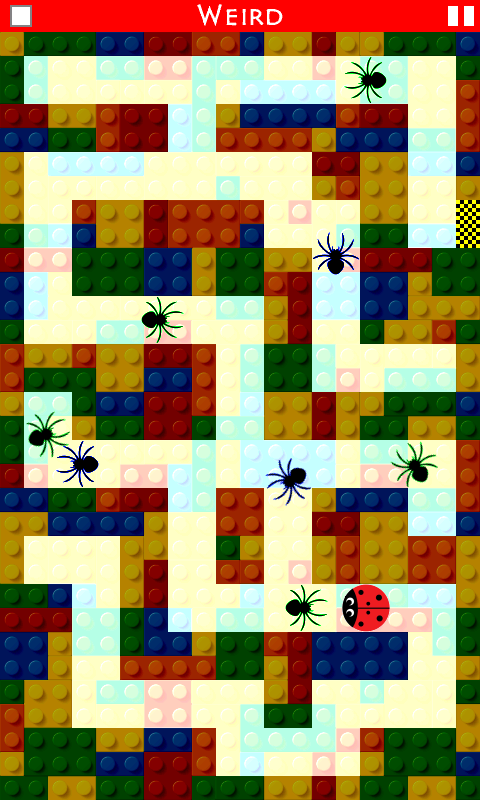 The bad news: You are heavily outnumbered by the spiders. Plus, they are relentless in their hunt. The good news: The spiders are as simple-minded as they are determined. Don't expect them to be ingenious about catching you. In fact, the blue spiders always turn left and the green spiders always turn right. Understanding these patterns gives you the advantage needed to escape from the maze. Player control is smart and easy. No clumsy direction pad, no awkward tilting of the device. You move the bug by simply tapping where you want it to go -- it'll find the shortest path automatically, as shown by the red dots in the Tablecloth screenshot above. No ads. No in-app purchases needed to advance. Have you got what it takes to make it through all 50 levels? If you're looking for snazzy graphics to show off your super-high-end device, look elsewhere. If you can't be bothered to read even a single screen page of instructions, bye bye. If you value creative gameplay, you've come to the right place. Not recommended for children under 7 due to some scary images and sound effects. Same game, just without the dark mood. Recommended for any age. On Android, we need 2 permissions: Access to USB storage to remember which levels you've finished, and Prevent device from sleeping so that the screen stays on while you're racking your brain over that impossible maze. On Windows Phone, access to your music library is required so that you can continue playing your music while playing the game. We don't collect and/or transfer your personal data. We don't care about your name, phone number, location or contacts, either.